brand new t-shirt. This MLB custom is a red cap with “Twins” in Green with a purple stroke. The shirt sets the whole package off superbly: dubbed “Purple Makani” (which translates to “Purple Wind”). On a white t-shirt, the graphics are inspired by Prince’s “Purple Rain” but is also a double entendre for, well you can figure it out! Just peep the subliminal graphic inside the crown graphic on the back. & lime green lettering. This whole pack goes hard with any Air Max 95s. 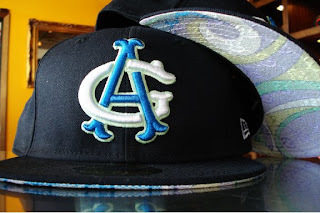 We just got in a fresh shipment of Acapulco Gold New Eras, the all too familiar “swirly” caps that literally fly off the shelves when we have them in stock. 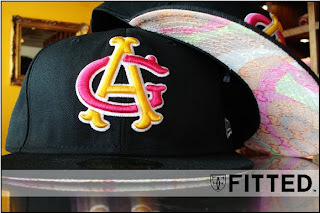 These come in three different colors: red, navy blue and black – both feature that well known swirly, multi-colored underbill with the same colors ran in a raised embroidery in “AG” on the front. 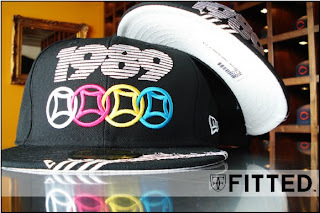 Call the shop or head down while the block is still hot, these are as usual, limited in quantities in all colorways. Phone orders are welcome as always, pending size availability. 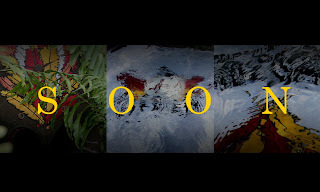 Mahalo for the love and continued support. Saturday (3/22) we are releasing another custom UH hat which we flipped in the Green Bay Packers colors: manila gold cap with green. 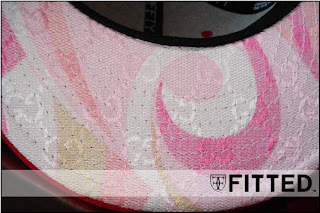 Remember, these are the start in the last series of UH customs hats we’ll be doing. 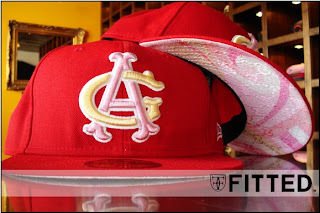 We still will be doing UH hats Just not in the custom color’s we all have gotten used to. Along with this UH hat we are dropping a new t-shirt dubbed “Pu’iwa” which roughly translates into “Feared & Startled,” a/k/a “Shook Ones.” The story behind this is from the infamous “Battle Of Nuuanu” in which King Kamehameha amalgamated all the smaller kingdoms into larger kingdoms and confederated the islands. The shirt comes in black and features a minute picture of this particular battle. 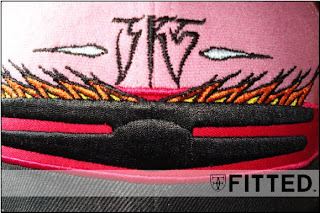 We just received in the much anticipated Kreactivader JK5 New Era by Mishka. 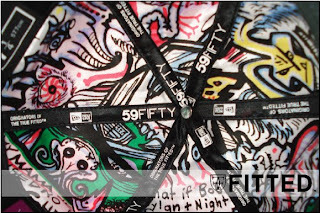 Mishka NYC has been killing it with crazy designs and this one is no different. 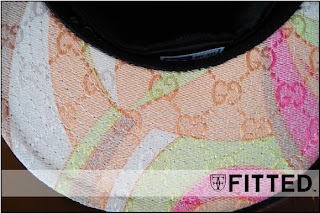 Mishka teamed up with NYC tattoo artist JK5 to bring you this special New Era which features an intricate stitched pattern all over the hat, and what appears to be a brain in the middle and gray and pink colors. 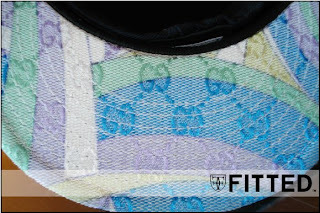 The inside also features a collage of JK5′s in satin. These are extremely limited and are already flying off the shelves. Phone orders are welcome, however they are limited in quantities. We just received 2 new custom MLB New Eras. 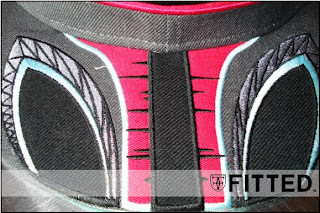 These will be the first of a string that we will be releasing in the next month. 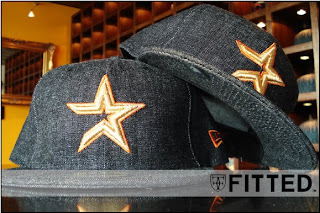 First is a denim Houston Astros with a gold Astros logo on the front and orange New Era & MLB logo hits. 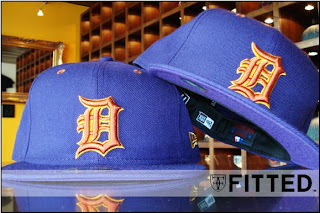 Next is a purple Detroit Tigers with an orange logo. 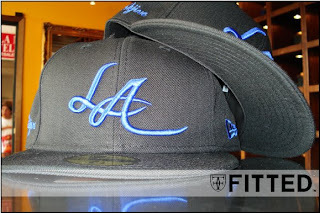 We will be back real soon with more hats as well as new T-shirt designs. 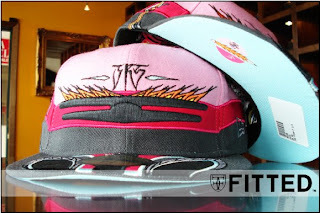 This coming Saturday (3/15/2008) we are releasing a sick remix of our popular Kamehameha custom New Era that we’ve been hitting y’all with for the past two years. You may have seen sneak peaks & pictures of this in Heavywater Mag. This version is made from a woven straw material that draws inspiration from Lauhala & how it represented the islands: from weaving baskets to woven mats, and even roofing for shelter. The weaving of the straw also represents a metaphor for bonding & holding the people of the islands together. 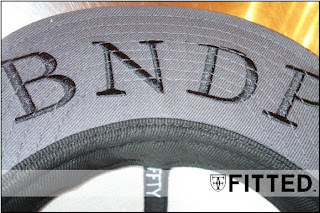 Along with the hat, we have a matching t-shirt in brown with FITTED across the chest showcasing the same woven pattern as well as on the back portion with our FITTED crown. 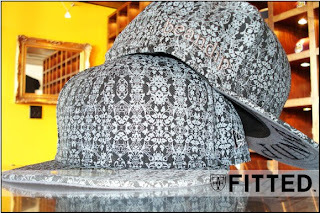 Both hat & shirt are very limited in size runs, & again on a First Come, First Serve basis. Phone orders will be taken after 12PM Hawaii time.